Luv-A-Bun is a 501(c)3 registered non-profit organization who rescues domesticated abandoned and neglected rabbits. 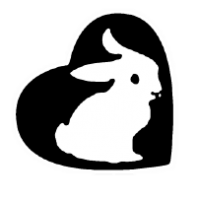 All bunnies are kept in loving foster homes and are provided with medical and rehabilitative care, socialized, spayed or neutered, and litter box trained. We interview and properly educate each applicant to make sure that every rabbit finds a wonderful indoor loving home.